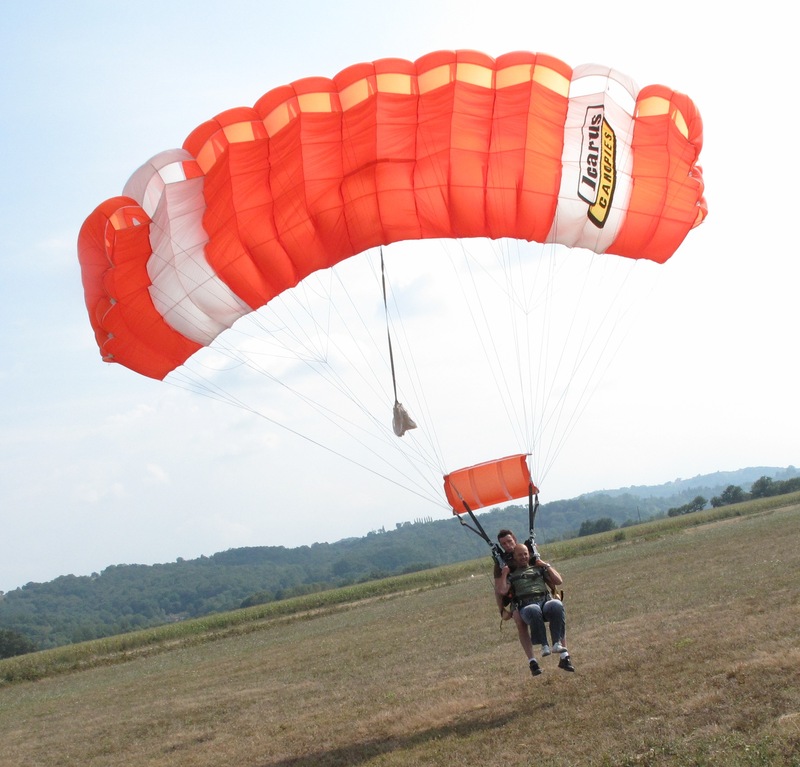 Try out a parachute jumps in complete safety! Qualified set up, suitable for disabled. 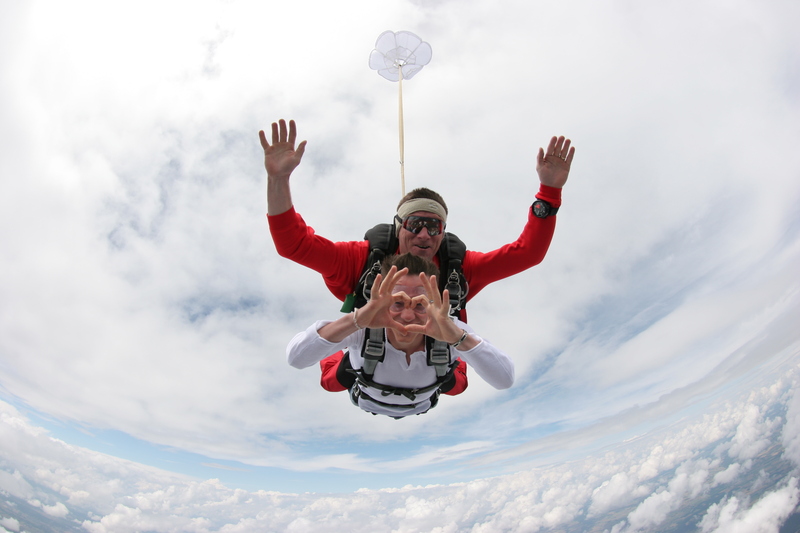 Jumping in tandem with Manu Enou, joint world skydiving champion. 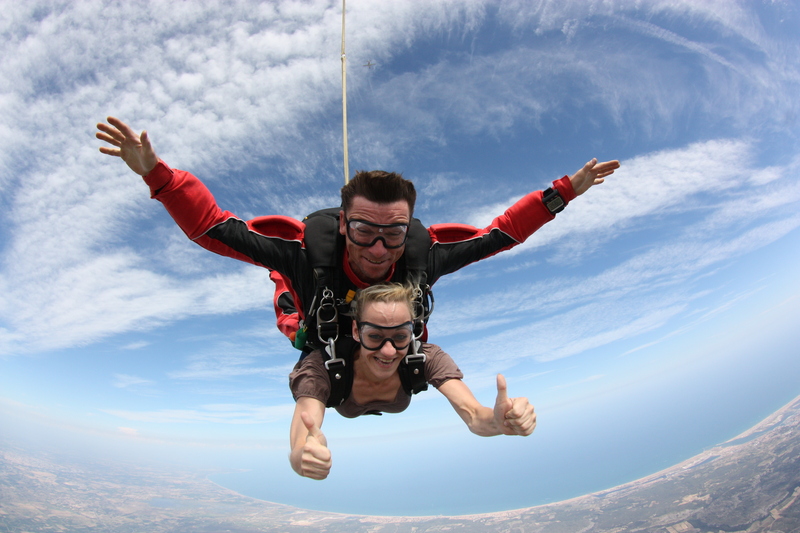 Discover free fall at more than 200km/h, in safety and land gently, in front of your friends! 25 minute plane ride, 40 seconds of free fall, 7 minutes parachute descent and you land smoothly in front of friends. 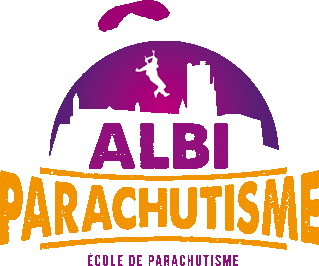 The tandem, easy parachuting in Albi, and accessible to all, is the ideal gift for your loved ones on any occasion. The thrills of free fall, happiness and an unforgettable memory ... Don't hesitate! After theory training of about 10 minutes in the centre, you will don your harness and board the plane. Enjoy the flight and admire landscapes that are more beautiful landscapes than anywhere else. After 20 minutes of flight, it's time to experience the incredible!! Your tandem pilot will open the parachute at 1500m, and you will return to the calm with a parachute flight for 5 minutes where you will have the opportunity to take control. The tandem pilot will take back control for a safe landing in front of your friends.